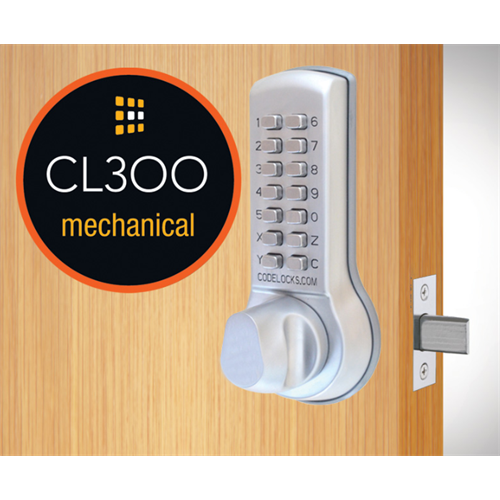 Codelocks CL300 series locks are are multi-purpose mechanical door locks providing simple code based access control. The latchbolt or deadbolt is moved manually from outside after entering the correct code. And can always be unlocked manually from inside. During installation the installer can choose to allow the lock to be locked from outside without a code, or requiring a code.